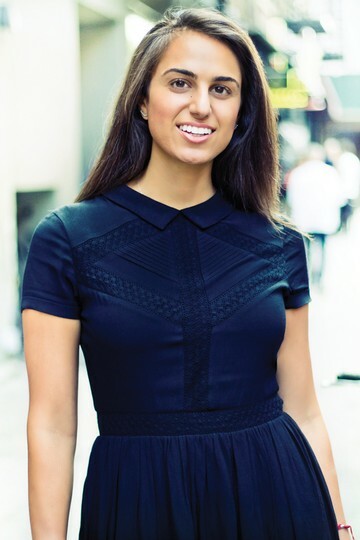 Melanie Nazarian is a New York Native and graduate of the Fashion Institute of Technology, where she received a BS in Advertising & Marketing Communications. As a licensed NY based Real Estate agent, Melanie combines her experience in public relations and unparalleled customer service abilities with her dedication and devotion to serve her clients' best interests. Her international background, speaking fluent French and Farsi along with her worldwide travels, have given her a unique approach to relationship building and networking. An avid explorer, traveler and music lover, Melanie ventures to new cities yearly, enjoys meeting new people everywhere she goes, and keeps up with music trends all over the world. February 2019 by Thomas B.
Melanie Nazarian from Real was a pleasure to work with. She was able to fit me in last second and show me great properties around the Lower East Side. She''s very knowledgeable about this area and was very easy going. February 2019 by Eric L.
Working with Melanie Nazarian was a pleasure! From the start, she was timely, professional, and thorough -- showing apartments, helping us better understand what we were looking, and moving the application process forward. I would recommend Melanie if you''re looking for a knowledgable real estate agent who will help you discover what you''re looking for! February 2019 by Justin M.
Melanie helped us out with our move from California. Having known nothing about New York, she was incredible in informing us, and helping us find a breadth of apartments that fit our needs. She was incredibly friendly and accommodating. We were specifically looking to move into the East Village, and she knew the area VERY well--telling us about things to do, places to shop, do laundry, where to go out, etc. at every apartment she showed. She was able to pick out a handful of apartments that my girlfriend and I saw ourselves moving into, which gave us a number to choose from. Overall our experience was superb. February 2019 by Todd A. Working with Melanie was great! She took great care to understand what I was looking for ahead of time and ended up showing me great apartments that were both on and off the market. She also has incredible knowledge of various neighborhoods. I''d highly recommend! June 2017 by Kylie W.
June 2017 by Sharon A.
Melanie Nazarian is professional, well organized and straightforward. She gave us an excellent sense of availability in our price range. She is also very familiar with the neighborhoods. NYC apartment hunting can be a challenge and we appreciated her honesty and knowledge. Melanie Nazarian was amazing to work with! She knows her way around the city and was very helpful. She is educated and knows what she is talking about. Looking forward to continue working with her. Thanks for everything Mel!